Easter Sunday. Cold. Grey. Windy. The occasional teardrop falling. Not mine. They dripped, now and then, from the eyes of the Rain God, lurking in his lair in the dismal clouds above. But I wasn’t surprised. Or disappointed. I’m used to Easter’s vagaries. And customs. And I don’t mean just the eggs. Or bonnets. There was a tradition, in my family, of giving ‘Easter fairings’ – small gifts. In the days when fairs came to town at Easter, as they did in my home town, the custom was to buy these small gifts at the fair – hence the name. And I have happy memories of very-young-me riding the ‘little wheel’ at the annual fair in our marketplace. Clutching a cardboard ‘clock’ whose numbers were all tiny eggs. Ah, happy days! But my abiding memory of long-gone Eastertides is not of the fairground, nor eggs, nor chocolate, but of shivering. Because Easter was also when my mother bought me a new outfit. Apparently, it brings good luck, wearing an item of new clothing at Easter. So perhaps a fair bit of luck has been my lot, in compensation for the chills. And last Sunday, although it was pretty bleak outside, I wasn’t too downcast. Yes, the weather was far from spring-like – but then, what is spring like? Hmmm. English weather, I’m not so foolish as to trust to a rhyme. Anyway, we had our (rather large) hot cross buns to start the day. Admittedly one day late. We’d bought them on our way home from a short break. 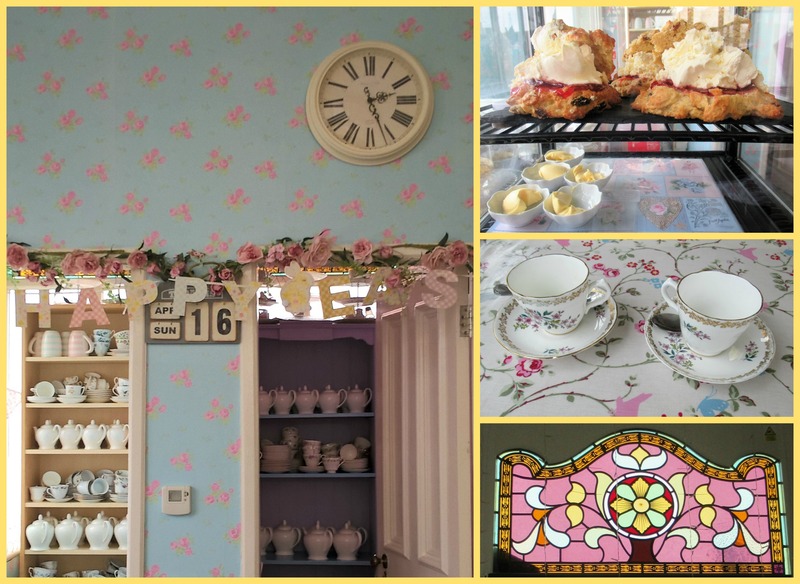 From a real bakery in a real Lancashire village. Here in old Lancashire, many proper local bakeries still make hot cross buns for Holy Saturday (the day before Easter Sunday). Indeed, in the bakery near our last house, we had to order them or be disappointed – and still join queues on Holy Saturday morning. Supermarkets sell them most of the year, now. Packed in plastic. In various flavours. But not for me the chocolate abominations of hot cross buns. I love the tradition, the once-a-year-iness of them. The currants and raisins and cinnamon of them – and the ‘what is the cross made of’ of them. 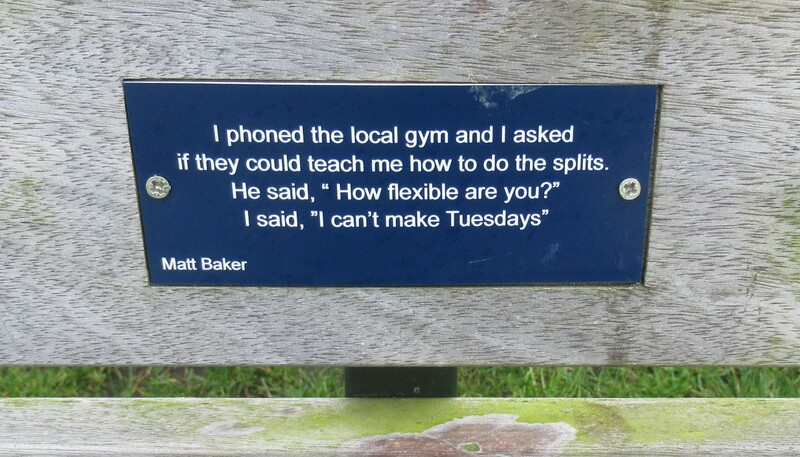 But even a large hot cross bun can’t cheer you all day. And the downside to grey weather is, of course, that a lowering sky can also cause the mood to darken. A walk on the beach, the usual preferred antidote to gloom, wasn’t on. Too cold. Too windy. Too spitty (thank you, Rain God). Nor the bird walk (as we call it). Too wet on the marshy mosses leading to the sea. Meaning wellies would be essential. And we didn’t feel wellington boot-y. The pier? No, no, no! Gusty in the extreme. And the pier train would defeat the object of walking. We live in a resort. A seaside resort with a marine (don’t mention Le Pen) lake. In all our three years here, we have never, ever, walked around the lake. 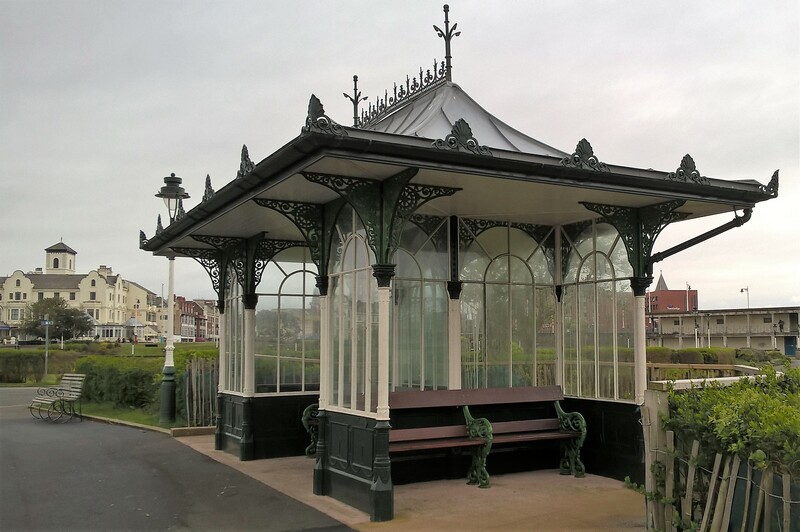 Beautiful Victorian seaside occasional architecture – there are always windy days with a little rain at our seaside resorts! And along with the sights and sounds of Easter. 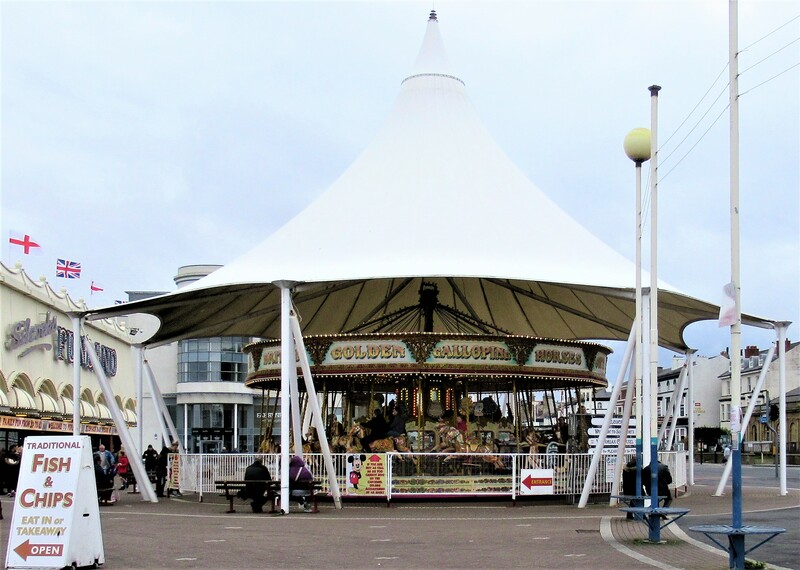 Of families and fairgrounds and seagulls and motorbikes – and did I mention wind? – came a surprising reason to smile. 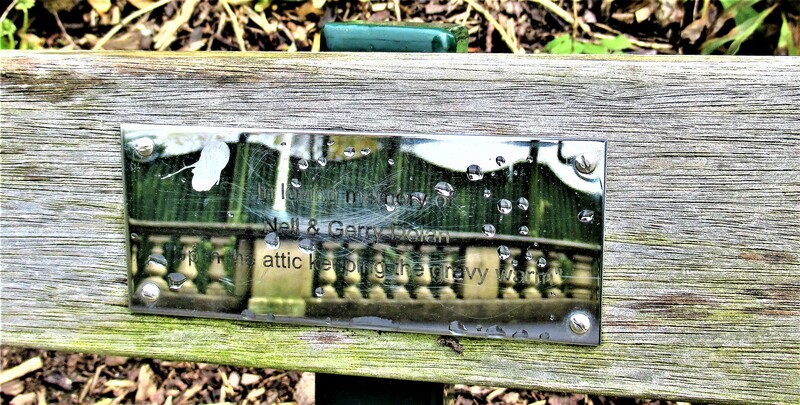 As you may have noticed, I like to look at the labels on benches. 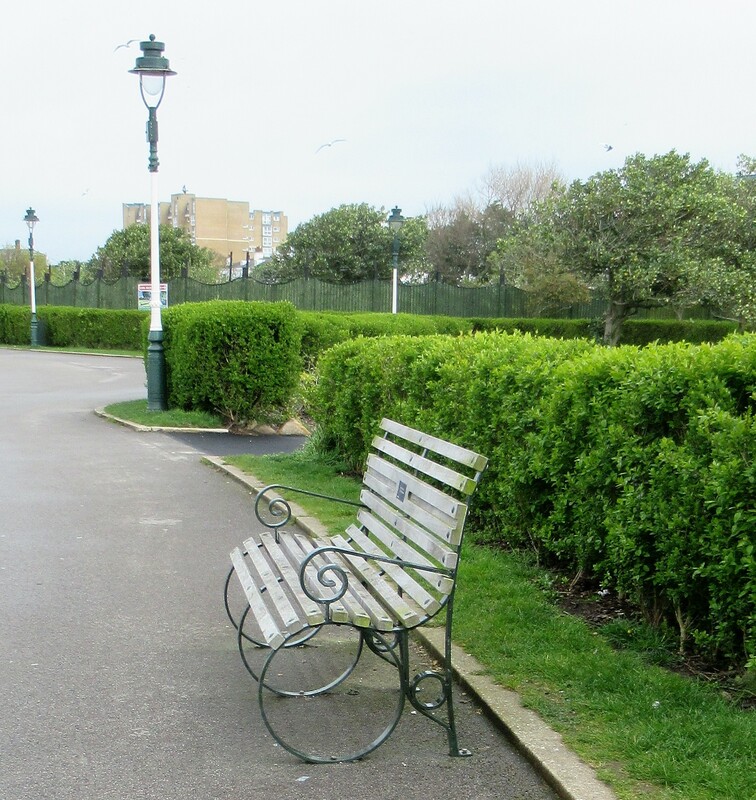 There’s usually some poignant, loving, remark about a dear departed relative, a passionate fan of the park, the view, or the nature reserve. A tribute to a generous volunteer. 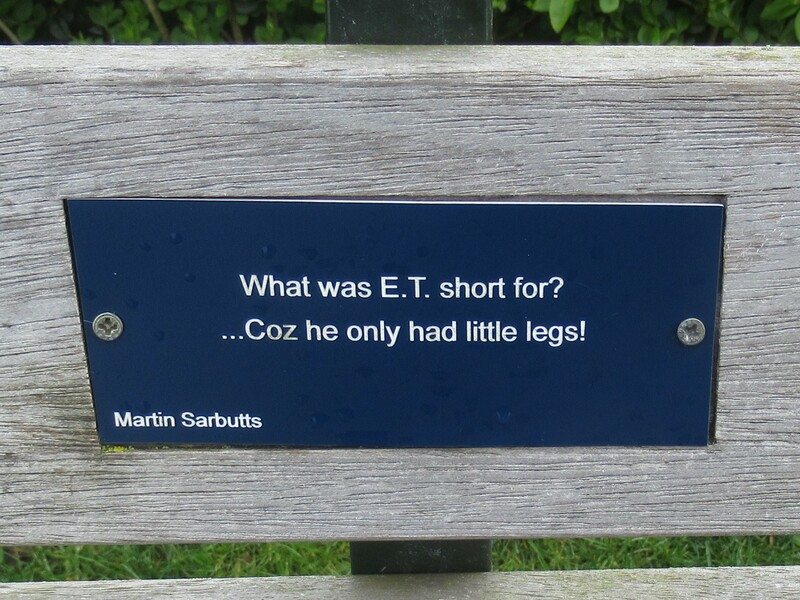 Well, our local resort has its own, rather lovely benches and – yes – many of them are sad, heart-warming, caring little tributes. In silver. With teardrops, in the rain. But. Hang on. Wait a minute. This isn’t the post I wanted to write today. I still have some ranty, angsty, possibly gloomy, despondent-y things to post – from politics and the state of the world to – well, politics and the state of the world. But since all around me bloggers and readers alike are tearing their hair out and fretting and worrying and despairing at the state of the world, I’ll wait a little while longer. Instead, I’m going to let some images speak for themselves. And here’s a message from me. 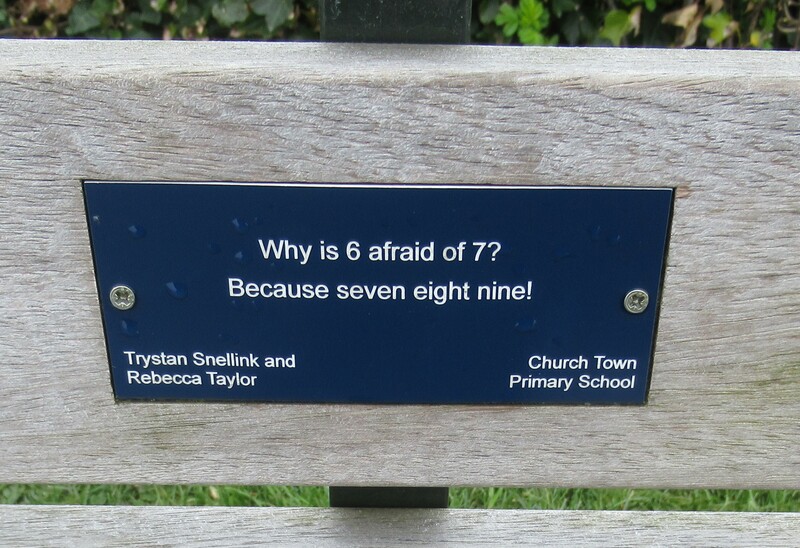 Imagine it as an overlong message on this metaphorical-bench-of-a-post. The last few weeks have shown me what a lovely community you can be. We can be. So, in an attempt to cheer your day, in return for consolations you have given me, please, have these little gems, on me. 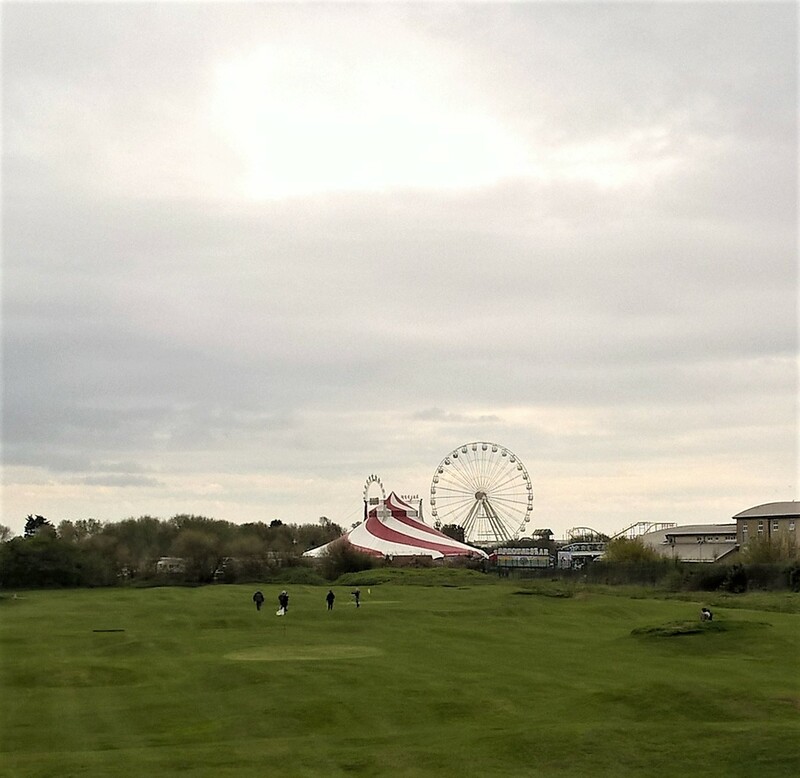 This entry was posted in Art, jaunts & going out, Britain now & then, Lancashire & the golf coast and tagged benches, circuses, Easter traditions, fairgrounds, hot cross buns, jokes, longest iron pier in England, merry-go-rounds, seaside resorts, shrimps. Bookmark the permalink. I was in England at Easter…too grey and windy to take mother out at all, so we enjoyed the spring flowers in the garden from the warmth of her sitting room. I had made our own hot cross buns – first time for years so was relieved that they turned out to be reasonably shaped and edible…the smell from the oven took me back to when my mother used to make them years ago. I had to go to London to renew my passport – nasty flimsy thing that it now is – so had the chance to enjoy Hyde Park in all its glory on a sunny day – I know I’m losing track with the seasons in England but surely the horse chestnuts were jolly early to be out in bud? 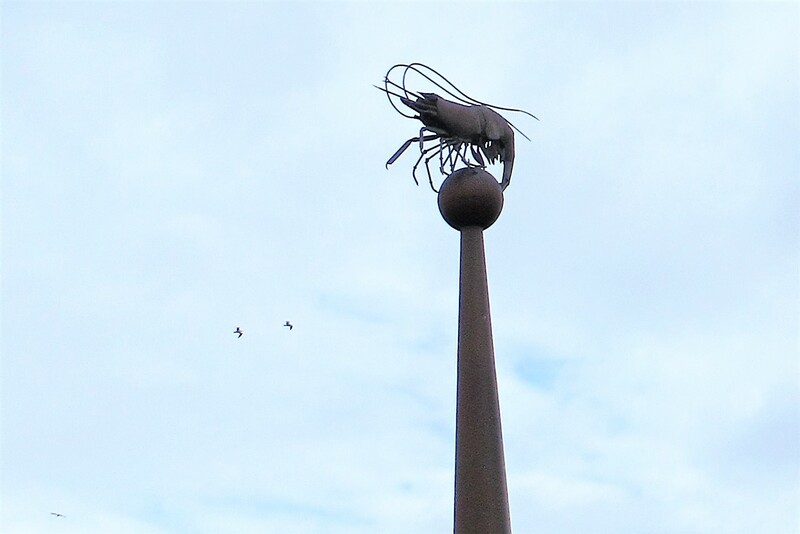 I did enjoy your shrimp up aloft…and ‘why the long face?’ still has me giggling. Yes, it was a bit gloomy, especially considering where you had journeyed from! But the flowers are well out as you could see – they have been lovely this year – and yes, I think the horse chestnuts are part of a serious trend. The bees were out VERY early and it was worrying as there was so little for them to feed on. No such thing as climate change, huh? Oh – and very impressed at you making hot cross buns. Next year I might give it a try, Have just been to a water-powered mill and bought stoneground flour which I feel deserves to be made into bread. I don’t know if you are a fan of Clochemerle, but before the shenanigans in the church with the attack on the beadle there is a good description of the women setting out for church in their new clothes for Easter. Goodness, so long since I have thought of Clochemerle. Will look it up! This quirky post went on a bit of a roller-coaster ride but made me smile at the end. 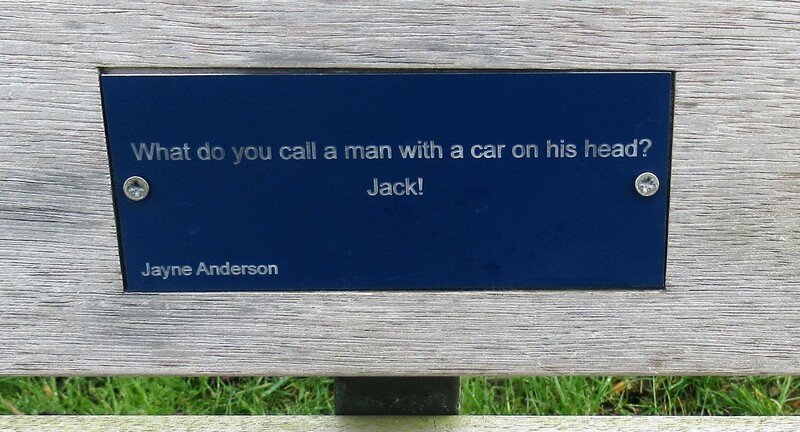 Love the bench jokes! Ha – roller coaster – yes it was a bit random. I’m feeling a bit random! 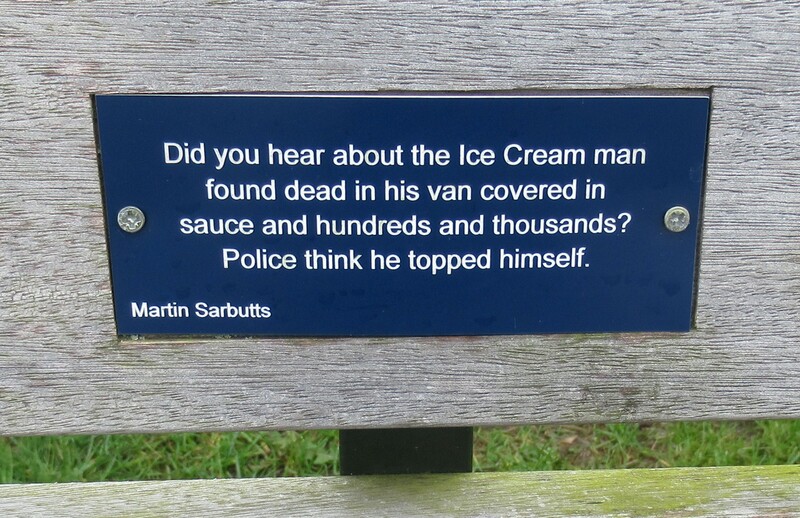 My favourite joke is the ice cream man one but I do wonder if everyone calls the sweet stuff they drizzle on cones ‘sauce’ or whether it’s just a northern and/or English thing? Thanks Fiona! Hope it gave you a chuckle. 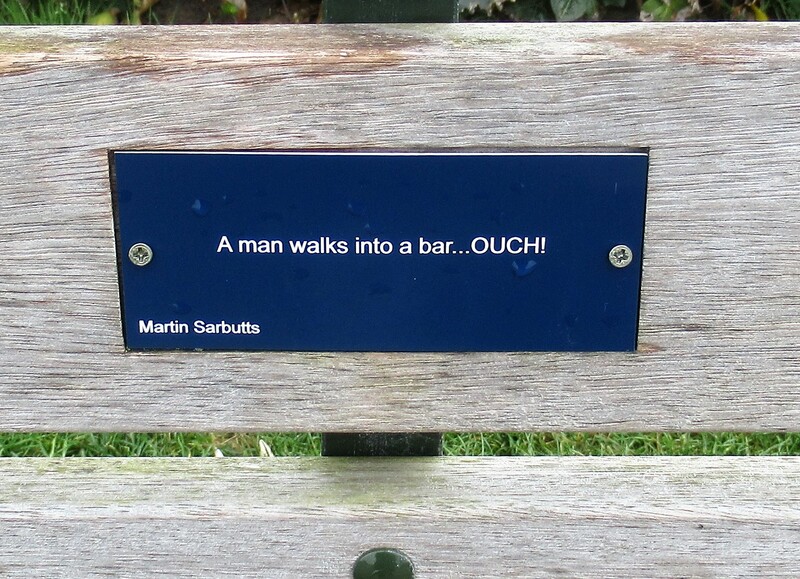 I love the one you mentioned on FB – it’s so nice to see humour not just pathos in parks. 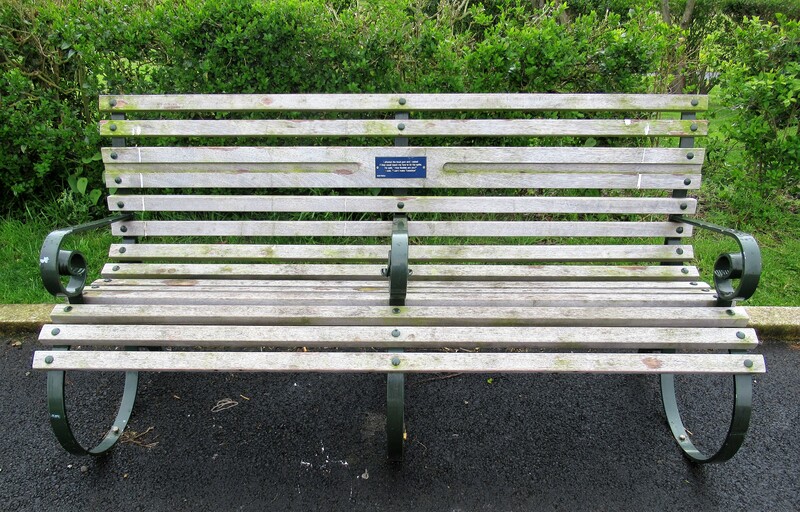 I like the idea of a miserable old g– commemorated by a bench other people cna enjoy! I bought hot cross buns this year in the local grocery … the packaged in plastic sort. They weren’t bad, once warmed up … soft and flavourful, but I had the feeling they were not even close to the real thing! I was grumbling in agreement about Spring weather and “chocolate abominations,” and then you made me grin with those bench plaques. Isn’t that just like Spring? 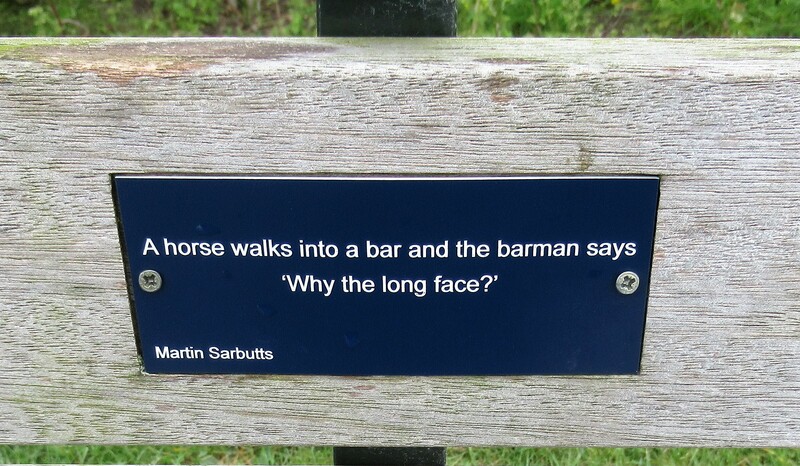 Thanks for the wry smiles! Oh so glad to hear you say that – the range of ‘flavours’ is so irritating. A hot cross bun is a hot cross bun! And you are so right about Spring. I read an interesting analysis of writing on spring which suggested that one or two of the most famous of the English language poets wrote misleadingly about Spring, intentionally, thereby both creating and mocking popular conceptions of it as a month of prettiness and showers … when actually it is so variable (and dry here) it makes us all unsettled… well, that was the gist of it. I am too spring like in my approach to take in the detail and report it accurately! What a lovely spot — even on a cloudy day. And a terrific post, by the way! Thank you, kind sir! It is old-fashioned but charming, though there are spots I wouldn’t show, isn’t that true of all towns? She has fared relatively well as our seaside resorts go in these days of financial constraints and cheap air fares.